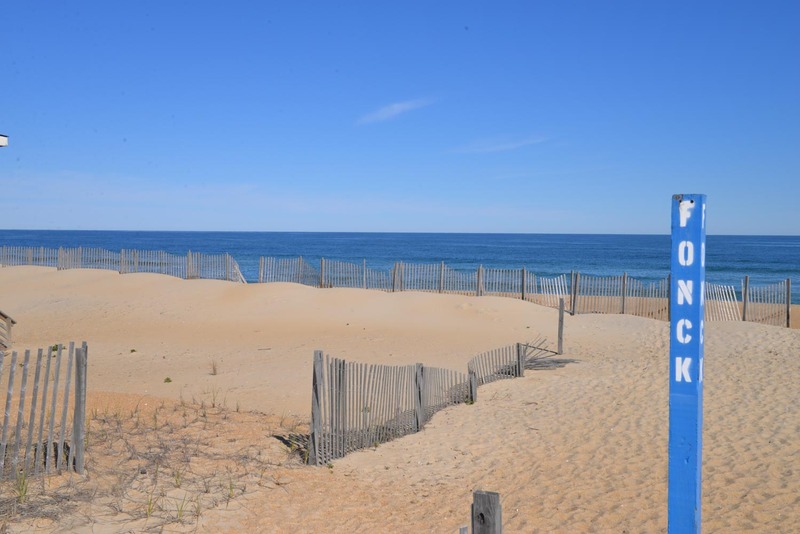 A great choice in any season, this cottage is convenient to the north beach shopping areas of Duck & Corolla & to the attractions & outstanding dining establishments in the southern communities of Kitty Hawk, Kill Devil Hills & Nags Head. 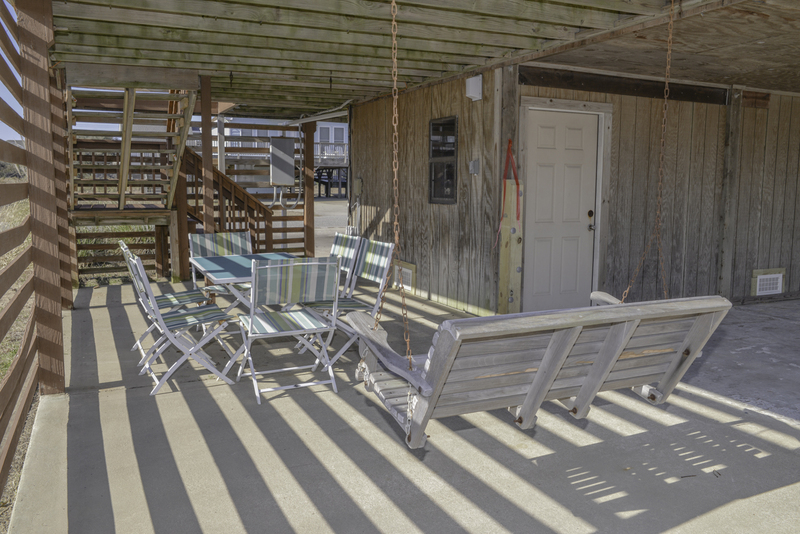 "Calypso's Hideaway" is a nicely decorated beach home that provides a great location, is dog friendly & is well equipped to ensure a grand time on the Outer Banks. Recent improvements throughout the home include wood-look flooring, an updated kitchen with new paint & appliances & bright colors in each bedroom. This home is very comfortable, has a well furnished covered porch, sun deck & under house sitting area. 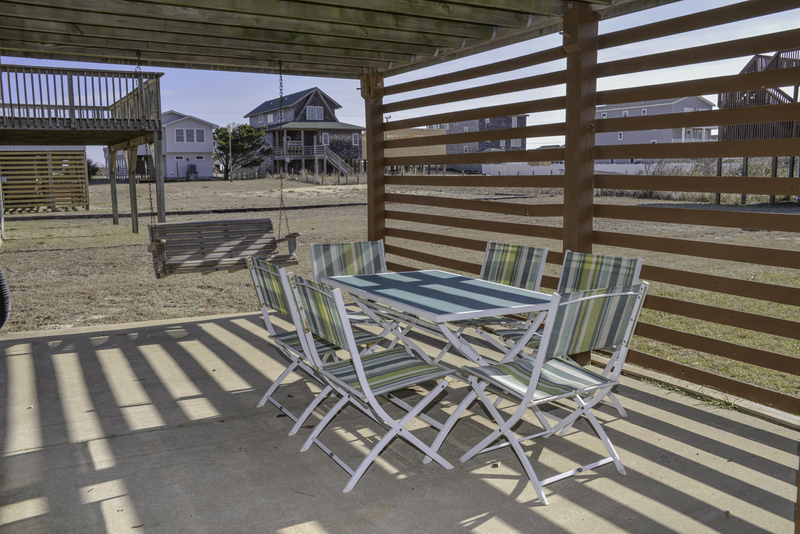 Enjoy long days on the beach, only 360 feet to beach w/direct access, relax on the covered porch or on the wrap-around sun deck located on two sides of this bright & beachy OBX escape. 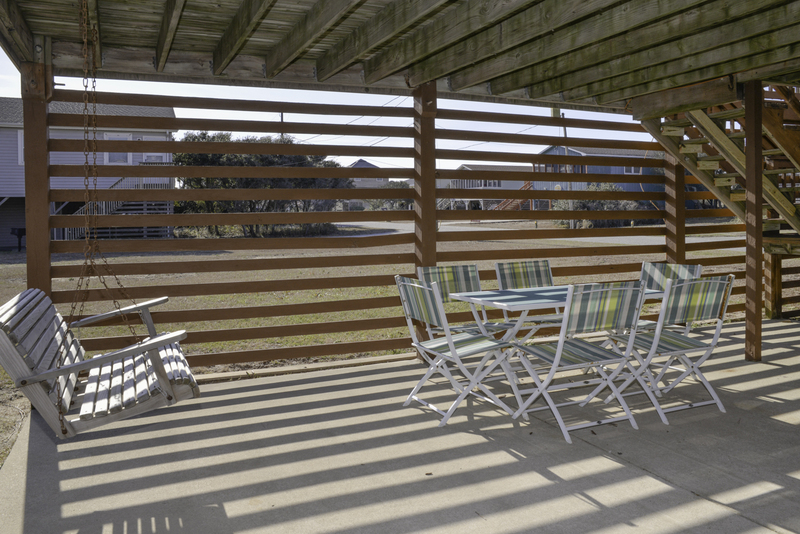 Ground Level: Parking for 3 Cars, Sitting Area, Gas Grill, Steps to Main Level Entry, Laundry Area, & Enclosed Outside Shower. Main Level: Living/Dining/Kitchen Area, TV, 3 Bedrooms (Master Suite w/Queens, Flat Screen TV, Full Bath, & Access to Deck, 1 w/Queen & TV, 1 w/Duo Bunk), Full Hall Bath w/Tub, Covered Deck, & Sun Deck. 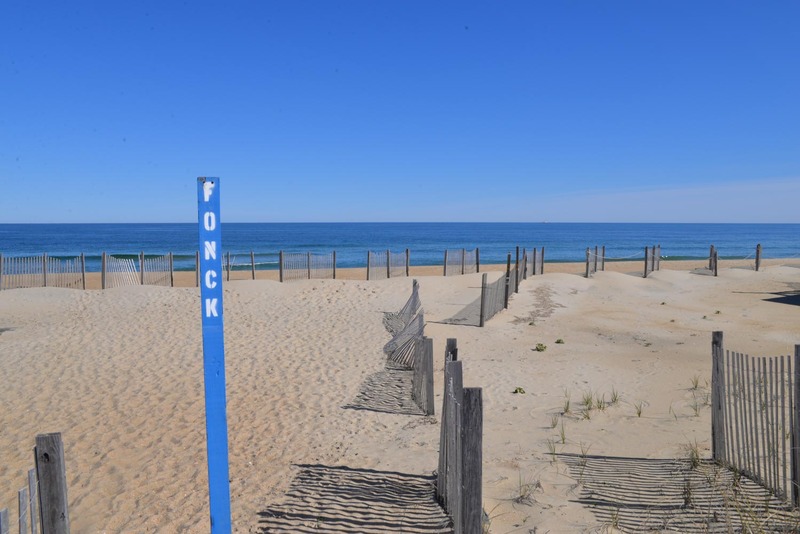 Feature include: C/AC & Heat, Washer/Dryer, Keurig, Dishwasher, Microwave, 3 TVs, DVD, Games, Books, DVDs, Wireless Internet, Ceiling Fans, Baby Equipment (Pac-n-Play), Corn Hole, Deck Furniture, Beach Chairs, & Beach Cart. Two Mature Dogs Allowed w/Fees. This is a Non-Smoking Unit.